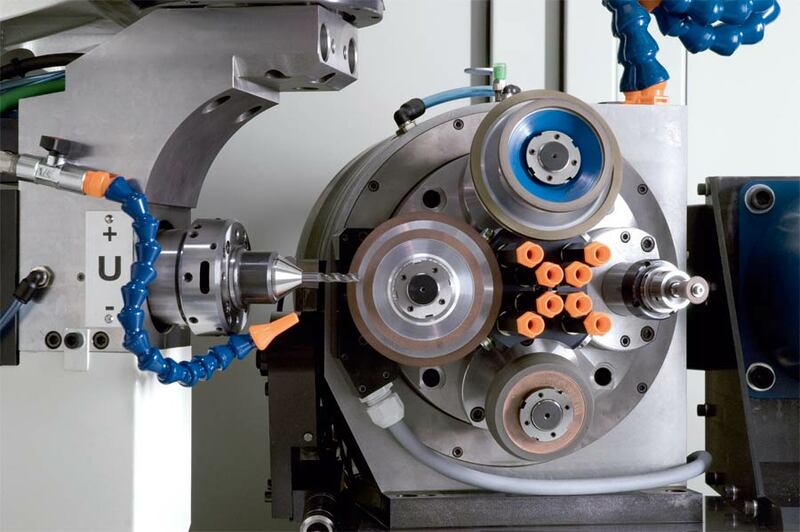 For setup of the Evolution, several versions of modular components are available, such as steady rests or blank guides, loading solutions, camera, clamping systems, tailstock and grinding wheel spindles. This allows individual configurations and optimization of the machine for a specific grinding task. Changing of the modular units occurs easily and quickly. The grinding wheels can be trued and measured while mounted inside the machine.